Microsoft is said to be working on a new keyboard cover accessory for Surface Pro, Surface 2 and Surface Pro 2 that will ship later this year. Known tentatively as the Power Cover, it will include an integrated battery and a new connector style that won’t be compatible with the original Surface RT. Sources claim the Power Cover will be a tad bit thicker than existing Type Covers and will weigh more than twice as much at 1.1 pounds. The internal battery won’t be used to power the keyboard but will instead serve as a supplemental power source for the tablet. When the Surface is connected to a power source, it will share the charging juice with the cover. It will be available in a variety of colors and should launch shortly after the Surface 2 and Surface Pro 2 later this year. It will provide a Type Cover-like typing experience, we’re told, but unfortunately there’s no word yet on exactly how much extra battery life it will provide for the slates. At least one source says it will significantly enhance battery life, so that’s promising. 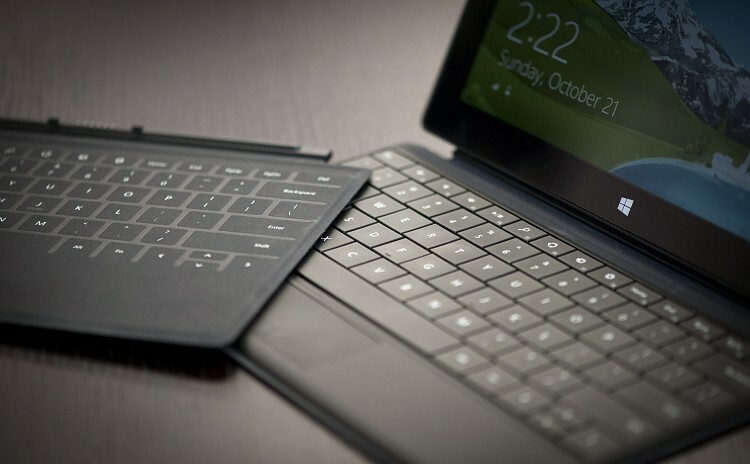 Details regarding the Surface Pro 2 leaked onto the web earlier this week including the revelation that it will ship with a Haswell-based Core i5 processor. In addition to a slight performance boost, Haswell is said to offer up an additional two hours of battery life which will bring the total closer to the seven hour mark. Sources also claim the Surface Pro 2 will get a boost in system memory up to 8GB.